Over the past few years, homeowners have taken a bigger interest in expanding their living space to include the outdoors. Many have taken an interest in patios, outdoor fireplaces, outdoor kitchens, firepits, pretty much anything to increase their time, and enjoyment outside. This past year we continued to see an increase in homeowners incorporating water into their outdoor living spaces, and it doesn’t look like this will change. When choosing a water feature homeowners typically look for the following; that it is visually appealing, that it will be low maintenance, and that it will be affordable to maintain. Here are our top 3 water feature trends for 2016. 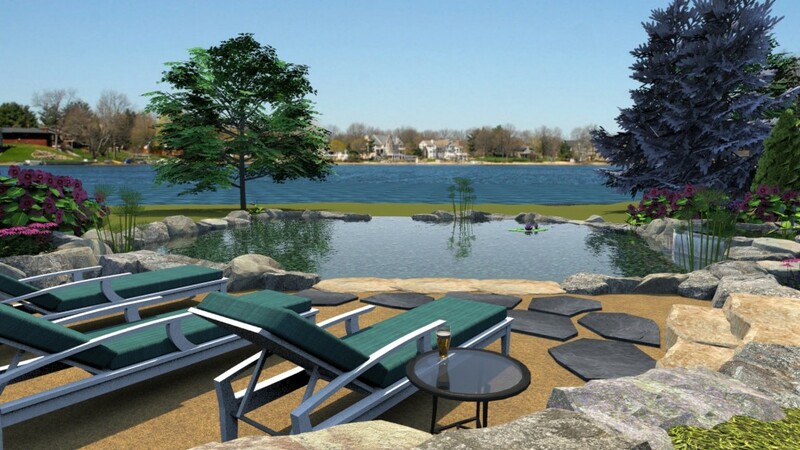 Ponds will continue to top the list of what homeowners are in search of to include in their outdoor living areas. The natural ponds that we build are visually appealing and not hard to maintain; only needing a good cleaning with the change of the seasons. There are so many great things about ponds that it would be difficult to list them all. 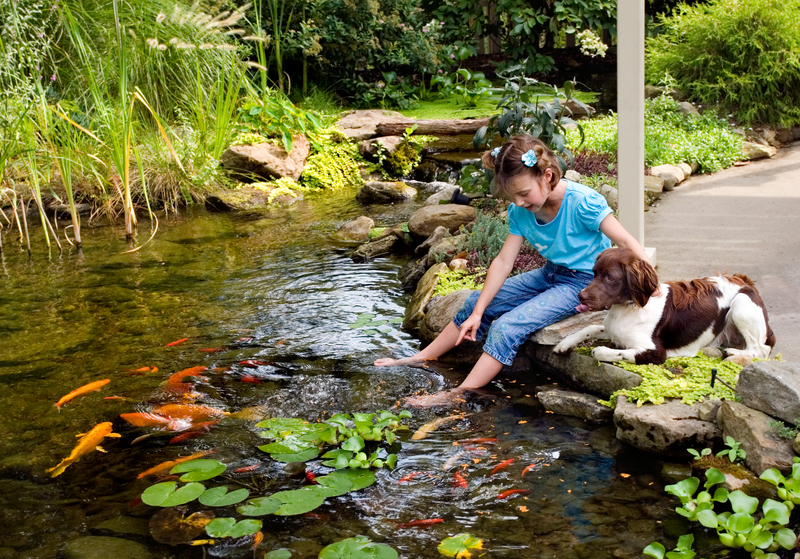 With a natural pond homeowners can add koi, or other fish, as well as aquatic plants, and lets not forget that the kids love playing in water! Another great benefit of a pond…they can actually be therapeutic, not only from the sight and sound, but also due to their healing, or cleansing, ability. Fountains are ideal for those wanting the lowest maintenance option that is still visually appealing. 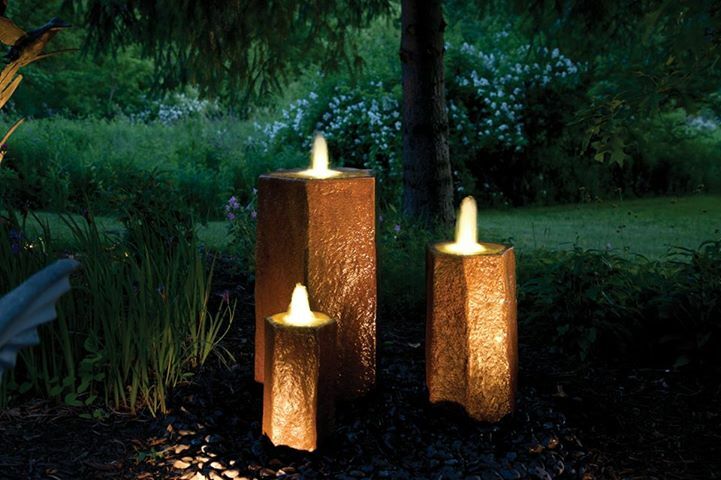 Our fountains range from the decorative urn or vase type water feature to the very interesting and unique basalt column water features. All the fountains we install can be placed into existing ponds or water features, installed by themselves, or incorporated into a landscape bed. As with a pond, we just recommend having fountains cleaned with the change of the seasons to keep them in proper working order. Swimming ponds are still up and coming, yet they have so much potential. Instead of a big hole poured with concrete, many people are now opting for the more environmentally friendly option of a swimming pond, or natural swimming pool. These pools require no chemicals like traditional pools, they are animal and people friendly, and they even look natural…like it was there all along. Bonus…you can add koi to your swimming pond and swim right along side your fish friends. If you’re looking to add a backyard pond, a fountain, a swimming pond, or any other type of water feature to your landscape, give us a call today so you can start enjoying more of your outdoor space!